Matthew Willey was born on March 14, 1980 in Iowa. He was the second of three children from loving parents, Michele Bement and Donald Willey. He was a loving boy, quiet and caring. He had a strong bond with his sisters and took a very protective and compassionate role as they grew up together. He grew up in St. Louis City and County. He cared for his friends like they were his family and was always willing to help anyone that asked him. He was funny and loving and wore his heart on his sleeve. 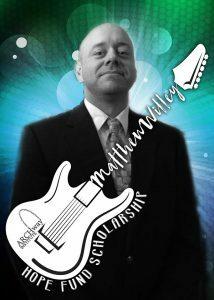 Although he struggled a bit in traditional schooling due to ADD; the vibrancy and intellectual talent Matt carried inside him was immense. He was an extremely talented musician, he played any song by listening to it once and wrote music like it was second nature. He was a talented cook, comfortable in the kitchen where he made many creative dishes. He was a history buff and could lecture for hours on the influence past wars and battles had on our current culture climate. As a boy he developed a love for baseball. He played on the school team all the way through grade school and was an avid Cardinals fan. He went to every game he had the chance to and would rarely miss “The Cards” playing on TV if he couldn’t be there in person. In high school, Matt began to experiment with drugs and alcohol, using them to cope with his depression and attention deficit disorder (ADD) which caused him to struggle in school and lead to frustration at home. Experimentation quickly turned into dependence and addiction which gripped every part of his being for the next 18 years of his life. His addiction lead him to do many things that even he wasn’t proud of, and knew that he was disappointing his family but he couldn’t stop his disease. He was in and out of the legal system and his depression went to a depth that even he could no longer manage with alcohol and occasional drug use anymore, which is when he found heroin. Once Matt began using heroin, he felt powerless and his family felt the same way. There had been addiction running strong on both sides of Matt’s family and everyone involved thought they all knew the right way to deal with it. Tough love, fighting and yelling, lectures on who knows best, involving law enforcement and ultimatums to go to treatment or turning their backs were all exhausted. Relationships were left in shattered little pieces where nothing was solved and everyone was left feeling defeated and broken in the end. Matt felt all of those things the most, from each relationship he destroyed. Since everyone thought they knew how to manage an addict, no one did the one thing they should’ve done; which was getting help from medical professionals and educating everyone involved about the involuntary nature of addiction as a disease. On March 22, 2016 Matthew injected a lethal dose of heroin into his vein and overdosed. He was resuscitated but had been without oxygen for too long and had to be placed on life support. For the next week a machine breathed for him and kept him in this world, but he wasn’t really here with us anymore. Family and friends poured in and surrounded him with the love that he so longed for and the painful ache of loss lurked overhead. We lost Matthew David Willey on March 29th, 2016 at 9:39pm. It was absolutely the most difficult thing his family had endured. They were exhausted and left feeling defeated by a disease that was little understood. Unfortunately, the grief didn’t end there, when less than 12 hours later Matthew’s cousin, Samuel Binz was found dead from an overdose in his mother’s home the very next morning. Now with the loss of two beloved members of the family, they had to somehow move on which felt like an impossible feat. 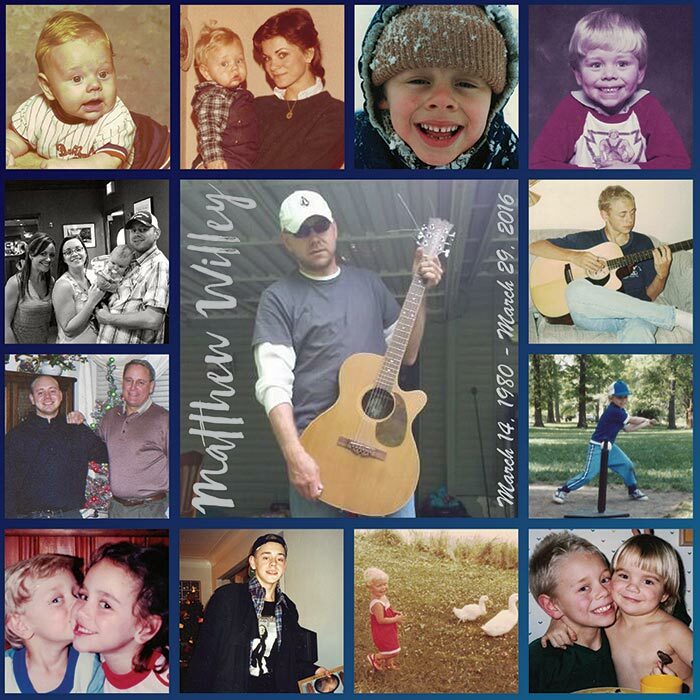 In the days, weeks, months and years that have past since this tragic event, some of Matt’s family have become involved in the awareness of the heroin and opioid epidemic that has been flooding our nation. Matt’s father, Don Willey and Matt’s sister, Laura Mines began working with ARCHway Institute to help raise awareness and funds to aid in other addict’s recovery and treatment. Don is the Business Manager of the Laborers Union Local 110 and has raised money through the union in upwards of $50,000 in less than 2 years. Don has also been involved with United Way’s campaign to help fund organizations and raise awareness that are dealing with the heroin and opioid epidemic as well. He has been speaking with politicians and corporate business people alike in hopes to change regulations on opioid prescribing and manufacturing. This tragedy has changed Matt’s family in ways unimaginable and they have used this experience to educate everyone they can about the disease of addiction and the resources that are available to get themselves or their loved ones help. Due to these courageous and selfless efforts by Matt’s father, Don Willey, ARCHway has chosen to honor Don with an award for his philanthropic work in this cause and the creation of The Matthew Willey Scholarship Fund. With efforts from other Local Unions, ARCHway has been able to start the fund with over $10,000. Matt’s family is extremely grateful to ARCHway for doing this and knowing that although the chance to help Matt is no longer possible, his fund will help so many other people in his name. Thank you ARCHway from all of Matt’s family! So that Matt’s spirit can continue on to help others with this battle, we are eternally grateful and give thanks to anyone that would like to donate to this fund because although Matt didn’t win this battle he knew others could.